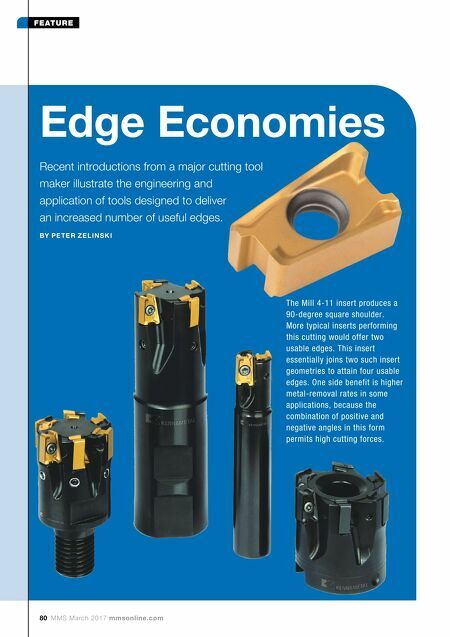 80 MMS March 2017 mmsonline.com FEATURE Edge Economies Recent introductions from a major cutting tool maker illustrate the engineering and application of tools designed to deliver an increased number of useful edges. BY PE TE R Z E LI N S K I The Mill 4-11 insert produces a 90-degree square shoulder. More typical inserts performing this cutting would offer two usable edges. This insert essentially joins two such insert geometries to attain four usable edges. 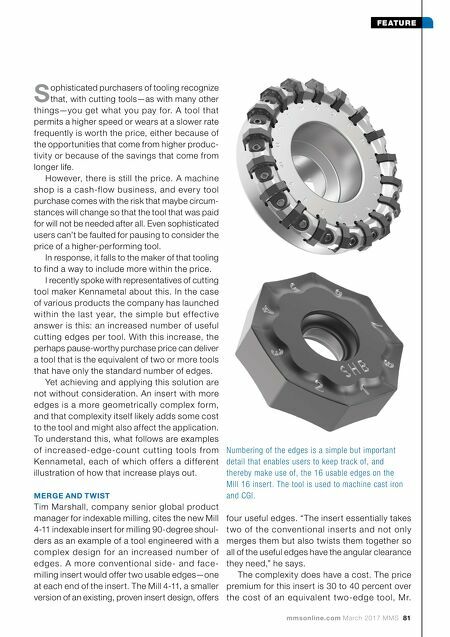 One side benefit is higher metal-removal rates in some applications, because the combination of positive and negative angles in this form permits high cutting forces.